Over The Moon Tents, and many of our clients, love the smell and feel of traditional canvas. Now you can combine that love of canvas with fashion and recycling and grab yourself a pair of trousers made of army tent canvas. Genius. Over The Moon Tents often make use of surplus military equipment. It is a good form of recycling that enables us to purchase military grade equipment that is often superior to alternate commercially available equipment. As well as our vintage ex -army marquee for hire, we also use old ammo boxes for carrying metal tent-anchor spikes; ex-helicopter cargo nets for securing loads to trailers; large holdall sacks for our cushions; ropes and bungees for securing sooo many things; a Sankey trailer for towing a generator; and surplus clothing can make for very hard wearing work-wear. We love scouring surplus stores wherever we find them to see what the latest gear may be in, and it’s fun figuring out uses for stuff the military no longer needs. 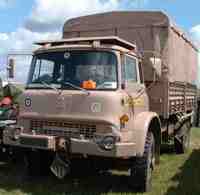 We can now offer a Bedford MK truck for hire to complement our Military tents. It can be used as a stage for bands to play on, film-prop, double as an accomodation tent and a chill out space. Hire rate starts from £300 for a day plus delivery (£0.50 per mile). Contact us for more info. We recently came across some old pictures of my two grandad’s and my great grandfather with military tents in the background. The one above is my great grandfather, George, who was a horseman in the army we think around the time of the first world war (my father is in the process of researching the army’s records). 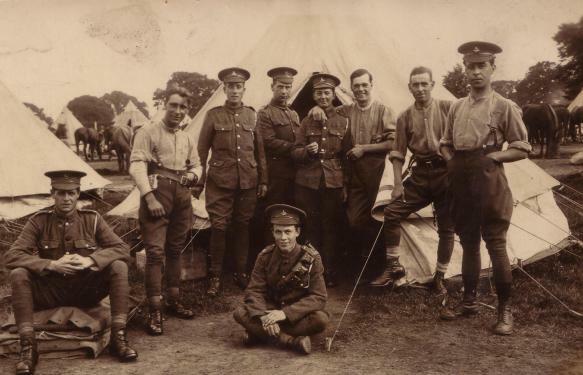 This picture was of great interest to us as it shows my great grandad, George, second from left next to a classic canvas Bell Tent. 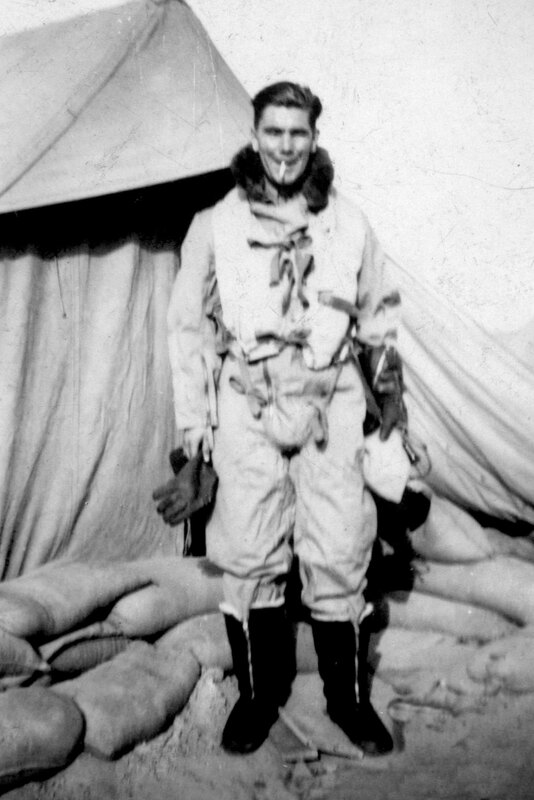 Both father and I are familiar with Bell Tents from our scouting days, they made for great patrol tents sleeping 6 comfortably. I always like the way you rolled the sides up to air them and they looked like they were hovering above the ground. I am not surprised that these same tents are now making a comeback at festivals. I spotted quite a few this summer. They are much more suited as you can stand up and get dressed in them and air them easily. Plus canvas is a much more resilient material and can handle the poorer weather better than these cheap throw away tents made of plastics. Plus a Bell tent has one pole and a few rope lines, how simple to put up! 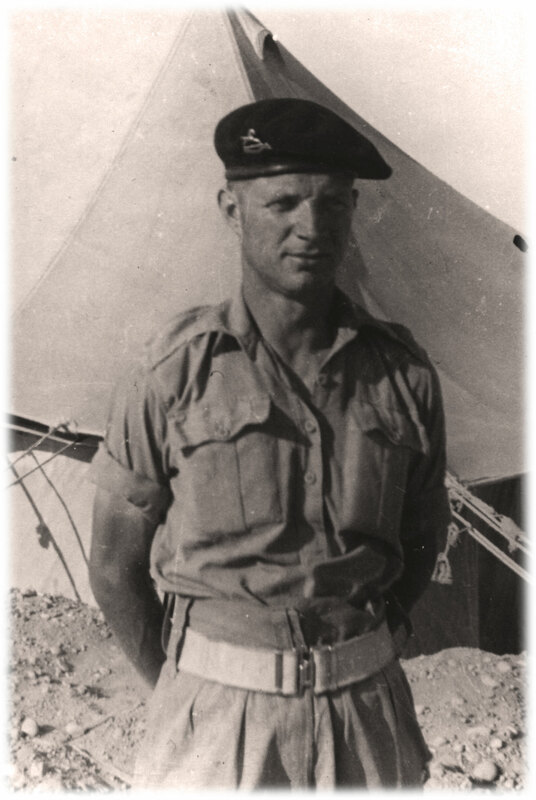 Roland Parker in Palestine circa 1945-46. Looks like a traditional ridge tent behind him. 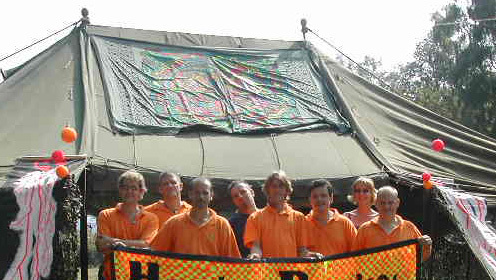 And the chip off the older blocks with his compadre’s in front of a British Army GS Marquee Tent, Trystonbury 2005, Windsor. 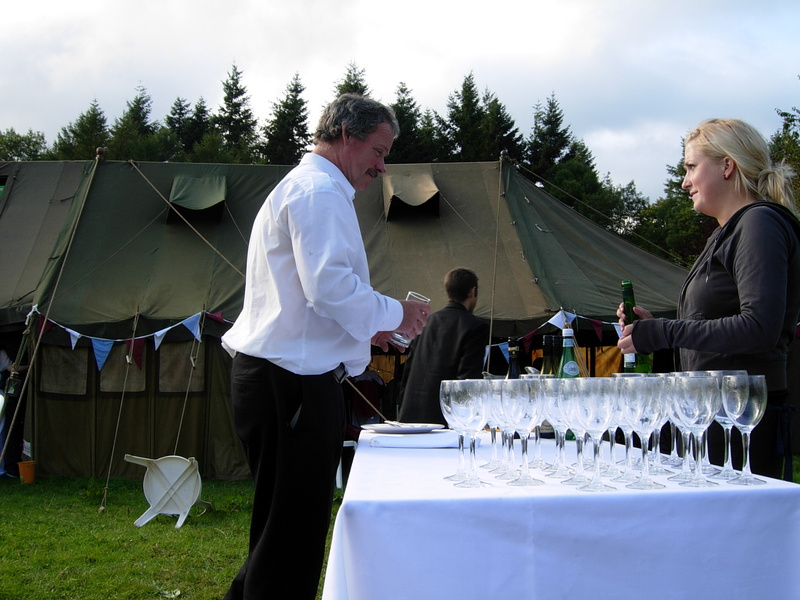 More info on our Military Tents can be found on our website. Click on link below.